Magic: The Gathering means a lot of different things to different people. 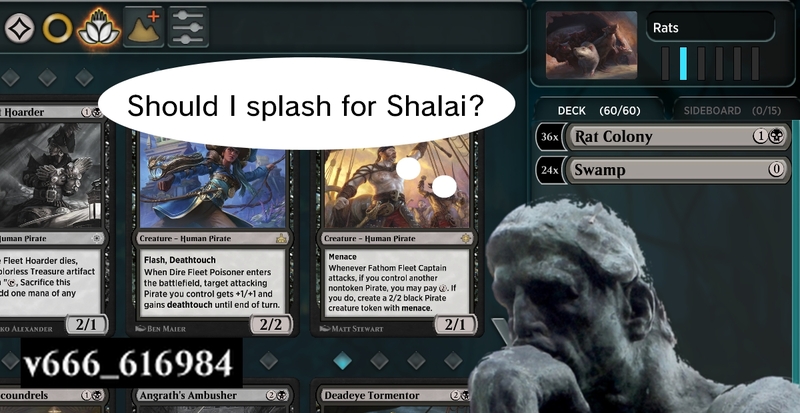 For some, it's a highly competitive game where the meta has to be followed and the sideboard is always ready. For others, it's a casual kitchen table game to play when friends are over. Some just use it like a stock market, speculating with card value and complaining when card reprints drive prices down. For me, the game's associated with a lot of high school memories. My friends and I decided to buy an (awful) intro pack each. Despite a pact to never buy boosters to avoid being overpowered, we all succumbed to the temptation in time. Eventually, we went to Friday Night Magic and prerelease and everything... Until adulthood came along and we had stuff like responsibilities and living in different cities getting in the way. Years pass, and now I couldn't even remember my DCI code to sign up for this closed beta! Thank goodness Destructoid is here to bail me out. Just as there are so many different ways to enjoy Magic: The Gathering, there are also many angles to consider with its newest digital adaptation. As such, I'll take a page straight out of Dominaria's Sagas and split my impressions of the closed beta into three parts.